The summer of 2017 is finally here! It’s time when children are free from their academic activities and look forward to celebrate their much-awaited vacation time. Summer time is all about having fun and creating good memories. But these holidays can be made more exciting and beneficial by utilizing it wisely. Children can get involved in various fun and creative activities, which will also help them develop their physical and mental capabilities. This informative blog throws light on few activities in which children can take part during their vacation and give a workout to their brains.The summer of 2017 is finally here! It’s time when children are free from their academic activities and look forward to celebrate their much-awaited vacation time. Summer time is all about having fun and creating good memories. But these holidays can be made more exciting and beneficial by utilizing it wisely. Children can get involved in various fun and creative activities, which will also help them develop their physical and mental capabilities. This informative blog throws light on few activities in which children can take part during their vacation and give a workout to their brains. Making a splash in swimming pool is considered as one of the best physical and neurological activities. Swimming helps in creating deep-rhythmic breathing patterns, stretches the body as well as relaxes the skeletal muscles. It lets the body do motor operations and cross-patterning movements which are quite different from walking and running. With swimming comes the body and muscle stimulation, which teaches the brain to receive messages, enforcing it to think of the same. If children start swimming in their early ages, they become stronger and more coordinated, simultaneously leading to improvement in their academic performances. Enrolling your kids for swimming lessons during this summer can be a very wise decision. Just like weight-training builds the muscles, math calculations build the brain. Math and its related games develop child’s reasoning, logic and clear thinking, which eventually help them perform well in other activities. Summer vacation is the best time for them to play various math games. So parents can encourage them to play math games online as today’s children love to play on digital devices and computers. They must set a time aside in a day for them to practice math in a fun way, with the help of various websites and mobile apps which have interesting math games for children of all ages and grade levels. Solving interesting puzzles or playing board games stimulates a child’s mind. Games involving words, numbers and different strategies make them think and activate their brain. Therefore, parents should encourage their children to play board games and solve variety of puzzles. They can also get them a few educational board games, which can help in their brain development process. The option of learning to play an instrument is included in the list of best exercises for brain functions. Various studies have concluded a strong correlation between music training and brain development, because playing an instrument requires various parts of the brain including the auditory system, motor skills and executive functions to be engaged into it. Therefore, parents should encourage their children to play musical instrument of their choice and catalyze their learning & brain development process. Dancing is one of those fun-filled activities which enhance children’s brain power, while improving their physical health. Performing dance activity at least once a week maximizes the functioning of brain. Dancing is a form of expression as well. It’s an exciting way of exercising leading to increase in child’s flexibility, physical strength and stamina. It also reduces obesity and helps maintain a fit & healthy body. Apart from these activities, children can get themselves involved into various outdoor sports such as football, basketball cricket, etc. They can also take part in hobby classes related to gardening, cooking, painting and many more. 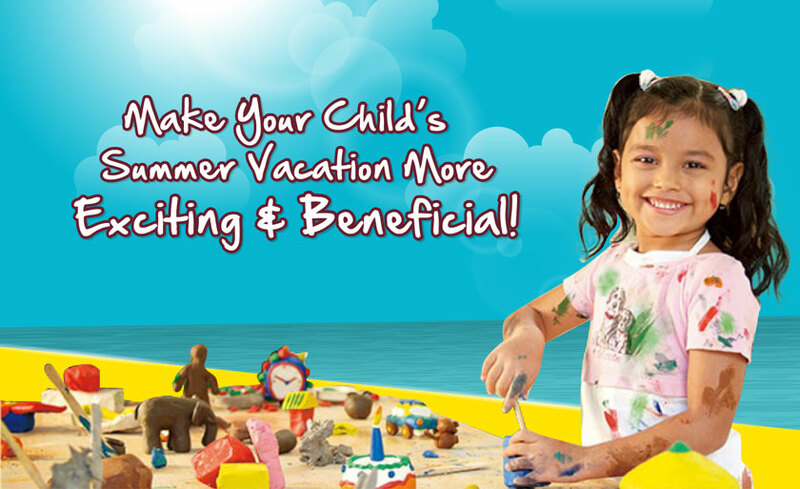 Hence, parents must ensure that their children are actively engaged during this summer vacation, which will help them in developing their physical and mental capabilities. Next Next post: How Can Parents Raise a Confident & Competent Child?